Despite having lived in Germany since he was 15 years old, Christian Pulisic is the USA’s star player. Born and raised in Pennsylvania, but a star at Bundesliga giants Borussia Dortmund, Pulisic is being labelled as the ‘next big thing’. 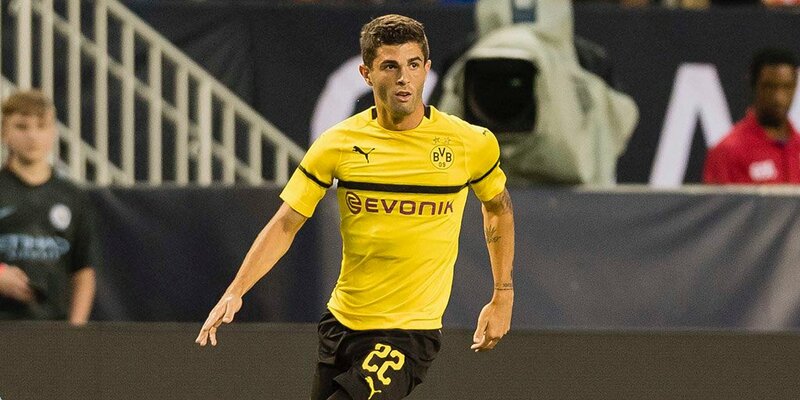 Known in Germany as a ‘Wunderkind’, Pulisic is living the American dream in Germany, with teams around the world, including Premier League teams such as Chelsea and Liverpool, clamoring to sign the 20-year-old. In a new short film, DW Kick Off take a look at Pulisic’s past, from the coaches he had as a child, to the owners of the local sports store where he’d pick up his jerseys. It’s funny how things go full circle, with the same stores now selling jerseys with his name on the back. But with Pulisic being such wanted man, can Borussia Dortmund hold on to the young American, or will he be tempted to join the Premier League? Check out the film below, and subscribe to the DW Kick Off channel for more short films on teams, players and famous clashes.